Installing sod and carrying out sprinkler installation and repair in your Orlando yard are excellent ways to create a beautiful space. 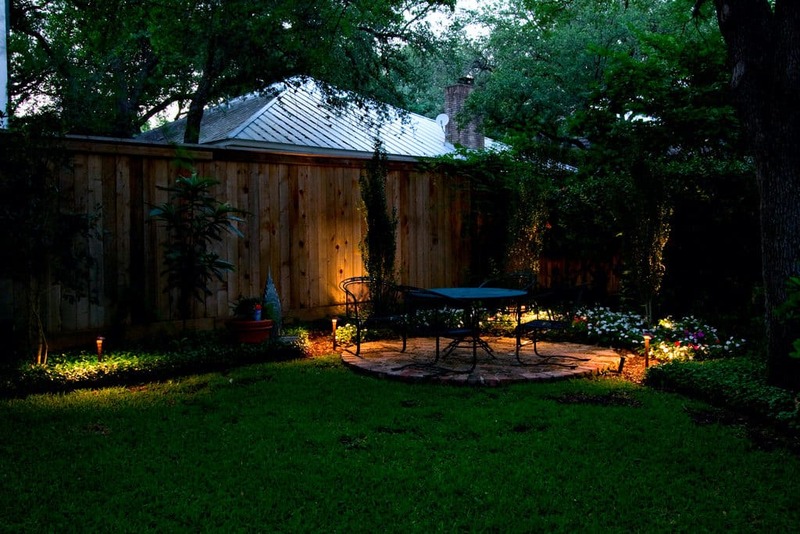 However, something you may not have considered yet is the proper outdoor lighting to enhance your beautiful yard and show off all your hard work at night. To be quite honest, the right custom lighting can take your backyard or even your front yard from a basic piece of land to an incredible light show. 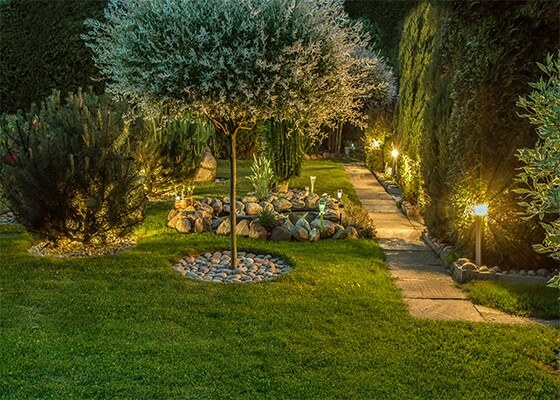 Proper lighting can completely change the way that your landscape works at night, but what exactly is required to do this? There are a lot of different lighting types, so how does each one work and how does it change your yard for the better? It all starts with making sure that you’re not just flooding the area. You have a lot of cool features in your yard, and there is a good chance that you paid a lot of money for them. You probably feel compelled to light them all but you shouldn’t go absolutely crazy and flood light your entire space. As with nearly everything else in life: less is more. If you light up the whole yard and try to put every feature front and center, you will only accomplish two things: running up your energy bill and washing out your yard with light. Night has a unique advantage over the daytime due to the ability to play around with light and dark effects. If you think about it, every piece of hardscaping in your lawn has various features that are visible during the day but might not stand out quite as well at night. For example, if you have a lot of shrubs, consider the shadows that they are capable of casting. Using directional lighting, you can manipulate those shadows and create any effect you want. You’ll be amazed at just how far you can take it and how differently you can define your lawn during the nighttime. Now that you know that there can be major differences between your lawn at night and your lawn during the daytime, here’s the all-important question: How do you actually go about lighting it up? It all starts with identifying the features that you like the most. What do you like about your lawn? What is your favorite feature or place? The answer to these questions is different for everyone. Maybe you want the focal point to be a pond or a fabulous stand- alone tree. Then again, your favorite element might be a well-placed retaining wall. No matter what component you select, you need to make sure that you use the right light to show it off. It is up to you to choose between bullet lights, wells, floods, and countless other options that will allow you to customize your yard any way you like. Visibility and the highlighting of features is nice, but lighting for safety is essential. You need to make sure that the right areas are lit, for example, the front walk, stairways or even a retaining wall to ensure that it is visible. Anything in your yard that could be a hazard at night should be well lit. If you are working on commercial property, this is even more important as you could potentially face a lawsuit if someone were to injure themselves on your property because of inadequate lighting. While lighting hardscaping features is always important, making sure that you have enough light on the entryway to your building or establishment is equally important. You can use directional lights, or go so far as to use rope lights if you wish. The choice is yours, and it won’t be long before you create the perfect yard for your guests. Illumination is key for both commercial and residential yards, but so is proper sod maintenance. For more information about sod installation, sprinkler system repair, and lighting installation here in Orlando don’t hesitate to give us a call. The quality of our work is second to none, and our friendly and professional staff are ready to give you an estimate.